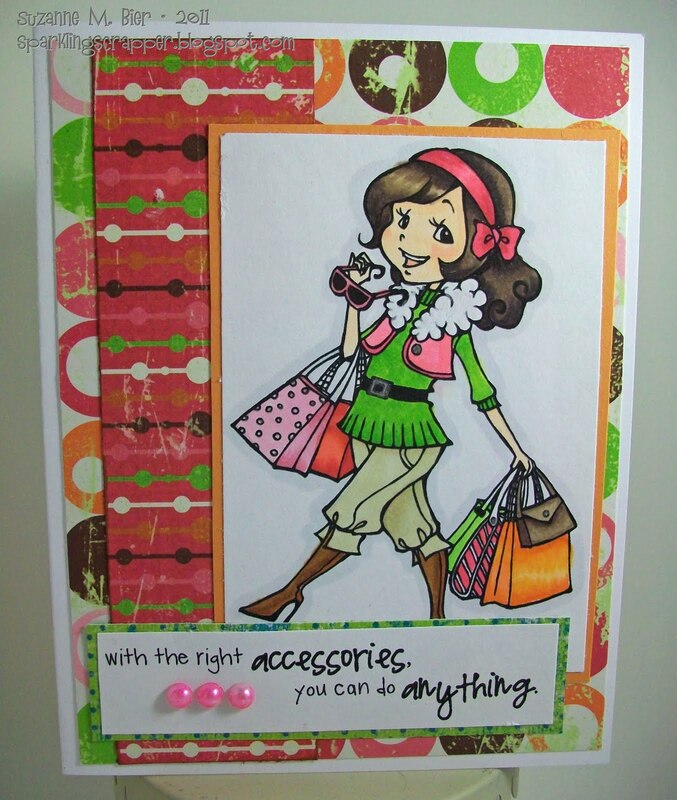 Sparkle Creations Sneak Peek – Shopping Emily! Happy Friday! I’m so glad Blogger is back up so I can join in the fun of showing you a peek of one of the new stamps Sparkle Creations Rubber Stamps is releasing on Saturday! Our first peek is Shopping Emily! She’ll be available in the store on Saturday along with the other new release! Be sure to visit all rest of the SCRS designers for more peeks of Shopping Emily. Sparkle will be giving away a Shopping Emily to one lucky person! For a chance to win, you need to comment on all of the designer’s blogs (list below). Then head on over to the SCRS blog and comment on the Emily post. You have until midnight EST each day to comment. The lucky winner will be announced the following day! If you haven’t signed up for the Sparkle Creations Rubber Stamps monthly newsletter, what are you waiting for? It’s the place to get all the latest scoop about upcoming releases, special sales, exclusive coupons and more! 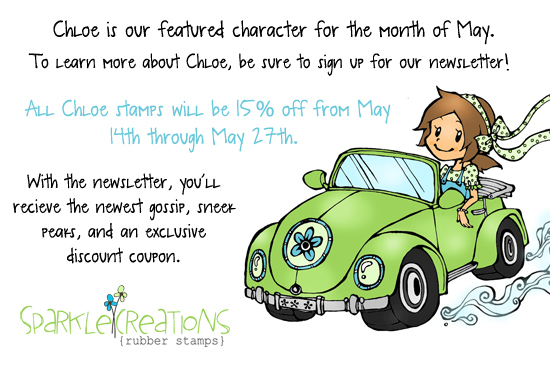 This month, we’re featuring Chloe and have a special sale in her honor! You can sign up for the newsletter on the Sparkle Creations blog! Thanks for stopping by! See you tomorrow for the next peek! Sparkle Creations Sneak Peek #2 – Relaxing Charlotte! I love the DP ..Aren't the colors spectacular..Great job!! Wonderful color combo! Thanks for the inspiration! Beautiful card and I love the new image! This is just darling, Suzanne! Love your card. Great paper and color matching. perfect sentiment and great colors!